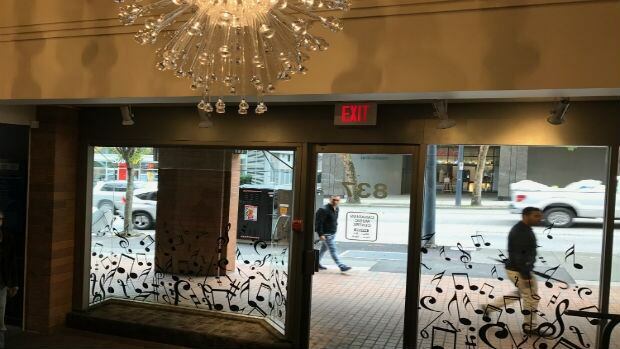 There’s a new place in Vancouver’s West End dedicated to teaching more of us about contemporary Canadian classical composers. The Canadian Music Centre in B.C. opened in 1959. Its mission: to promote the ever-changing world of new classical music in the country. The organization recently moved to its new home in the heart of Davie Village. The new space includes an office and a digital archive, including a large collection of memorabilia, and a music-lending library. It also includes a new 40-seat theatre named after the late Murray Adaskin — the man largely credited with bringing Western Canada into the new classical music spotlight. Sean Bickerton is the B.C. director of the CMC and once played violin for Adaskin at the University of Victoria. “He sparkled, he twinkled — he was one of a generation of composers to create Western concert music from Western Canada and to write based on the traditions here and to establish those traditions,” he told host Gloria Macarenko on CBC’s Our Vancouver. The space is now holding a special concert series to both educate and celebrate the work of B.C. composers. The event will run into 2017 and will commemorate Canadian composers Barbara Pentland, Jean Coulthard and Elliot Weisgarber. “What distinguishes Canadian music in particular is it’s like our country. It’s this rich fabric of influences from all over the world — from Asia, Europe, America, South America, from Africa and also Indigenous cultures,” he said. Bickerton believes this music speaks to people interested in discovering new sounds in the classical genre. He says this music is a big part of our cultural heritage.